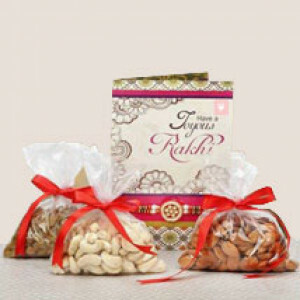 Increase the surprise element for your loving brother on this Raksha Bandhan by delivering delightful pouch containing fresh and healthy dry fruits and make his day super special. 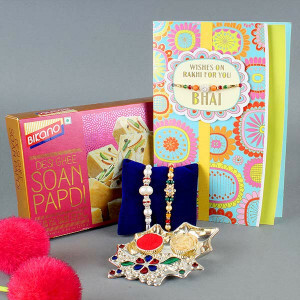 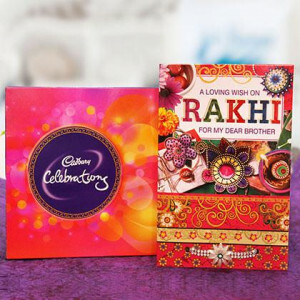 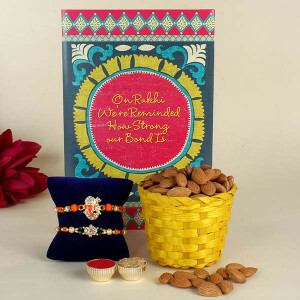 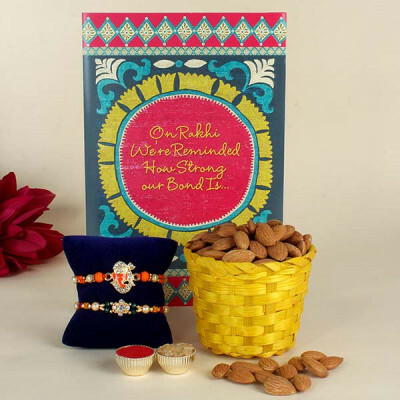 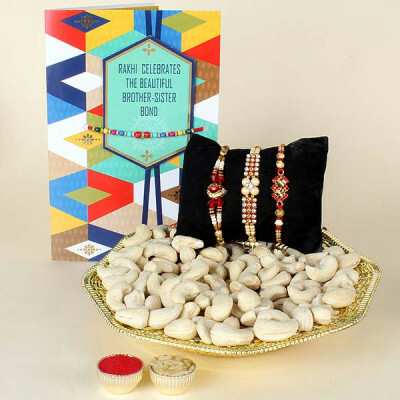 Adopt this Rakhi combo that consists of Rakhi, 300 gm Dry Fruits with Greeting Card. 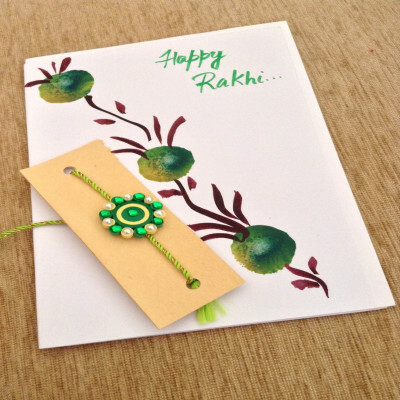 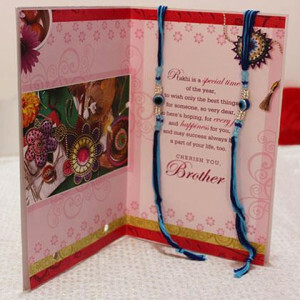 Raksha Bandhan is a ritual celebrated to tribute the bond between brother and sister. 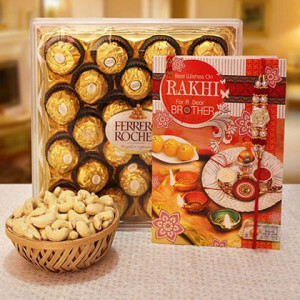 To add more magnificence in this occasion, buy this beautiful combo that consists of 1 Rakhi with 10 Red Carnations in Red Paper Packing and a Greeting Card.